Our campus went live with the PeoleSoft (now Oracle) suite of products in 2003 and 2004. Like most campuses we had our bumps early on. After all, ERP systems change the culture, not just the technology. As we sit in 2012, I have to wonder what will come next for College data management systems will look like. The current systems, although only few years old, are already old looking and their functionality does not satisfy new and growing needs of campuses. If current leaders in this market space don't adapt, I think we will see new players, soon. 1. The ability to customize the look and feel of pages needs to be building. Now, adding branding, chaginging fonts and the location of data boxes is hard or not possible. This makes the current systems look almost "legacy" like when compared to other interactive web sites. Campus portals for example, should be able to be consistent with the universtiy brand and "moderized" as needed, without effecting functionality. 2. Mobile is here and is not going away. Just as campuses need to develop a strategy for presenting their image on mobile devices, ERP providers need to format pages for mobile devices. It is early in the game, but pushing this task off to third party vendors adds to campus expense. Since we know that mobile will not go away, vendors should have plans to build this into to the base product. BTW, I do not think that all of the ERP functionality needs to be in mobile format. Starting with the parts of the system that students and faculty deal with would be great. Back office staff will likely continue to do their work in the back office. 3. Security needs to be easier to manage. For the past several years we have had to dedicate almost one entire FTE to managing security and provisioning. We have since automated this process ourselves and reduce this time to about 10% of an FTE. It can be done. 4. Reduce the anumber of third party tools that are needed for reporting, refunding, electronic payments, eTranscripts, admissions applications, judical management .... . The list goes on. These are all areas where many campuses are using third party solutions with, again, more cost for products, integration isses and personnel costs. Not all functionality can be built in, but if someone can build a product with most of this, they will be the new leader in the market. 5. Build in things like a work order system (in Financials), an event room scheduling system, and maybe even HR contract automation. This would be real "value add". Again, the new leader will have most of these. 6. Lastly, think hard about a cloud solution. Data centers are expensive to run and staff. Many small or medium size colleges would probably like to phase out most of their data center activity over the next 5-10 years. It has to be affordable, secure, and with great service levels and tools. Off the soap box for awhile. The College ERP market is getting dated fast. This is a problem, but a great opportunity for the next big thing. Check out WorkDay for a glimpse of the future. They work only with HR and Finance, but the model is here. 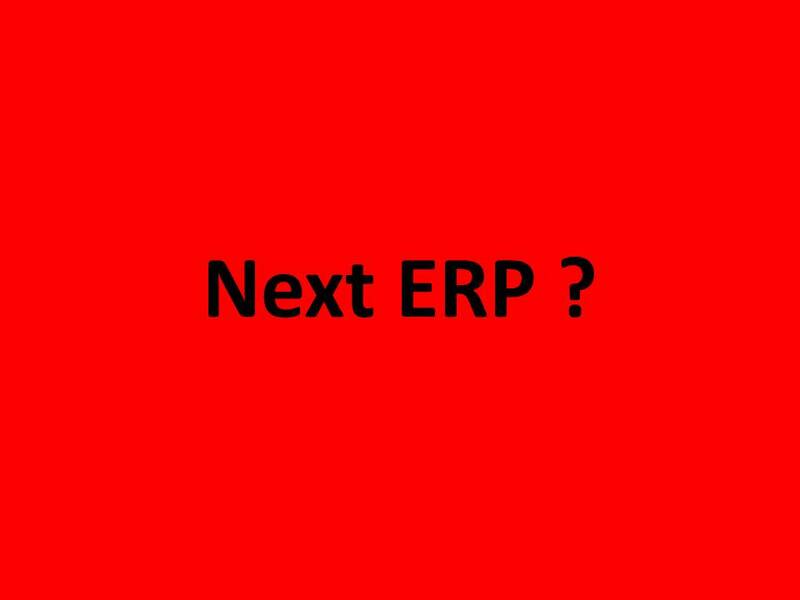 ERP system is must important for the next generation. 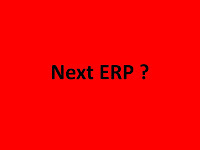 Many organization use this ERP software. It's good for the management. Cloud is not only data-centers. It can support a ERP software as a SaaS. So the costs will be down. I agree. Cloud can be looked at in a few ways. Lately, I have been talking to companies like Oracle, WorkDay, and Salesforce. All have SaaS products. The part that concerns me is that their solution involves all customers running the same version of the software with no modifications. This is great from a suppport perspective, but not so great when your environment just can't go totally vanilla. I have asked the companies how to deal with this and have not gotten a reasonable reply yet.